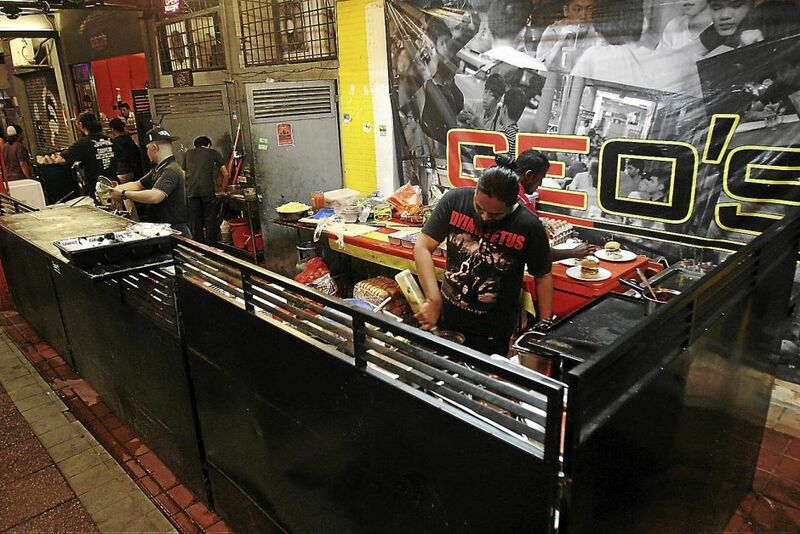 BLUE, red, yellow, black, green and pink are the colours of the burgers served at Geo?s Hartamas, also known as Joe?s Place, which is located in Desa Sri Hartamas. The street stall?s best-selling items are these unique burgers that come with 150g of premium chicken, beef, lamb or fish patties dipped in a secret homemade sauce. Although these buns are the highlight, other food items sold here are well-worth the trip. The value-for-money dishes are prepared by experienced chefs.